You never know where he will show up! 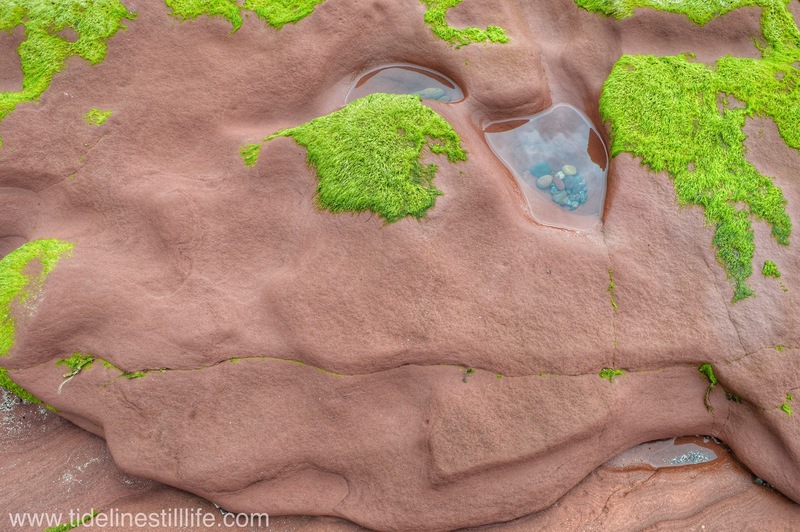 … and Nova Scotia, and tide lines of all sorts, and most especially days spent exploring nature with my beloved. 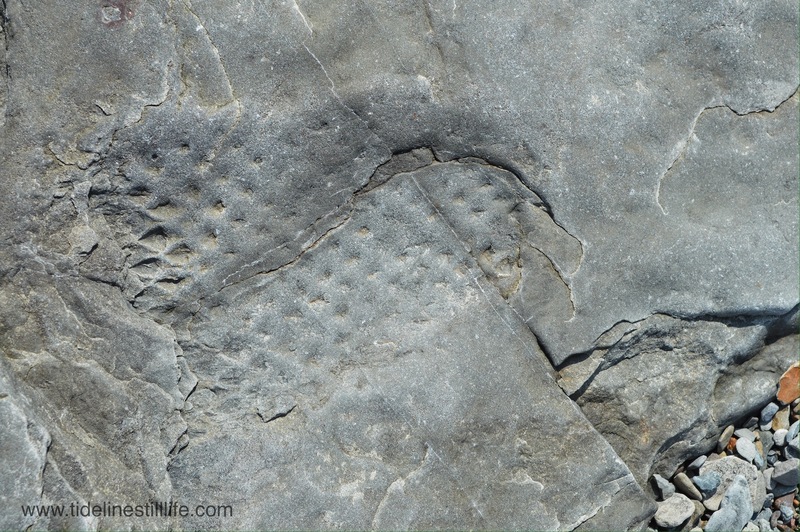 This fossilized impression of stigmaria bark from the Carboniferous period says it all. 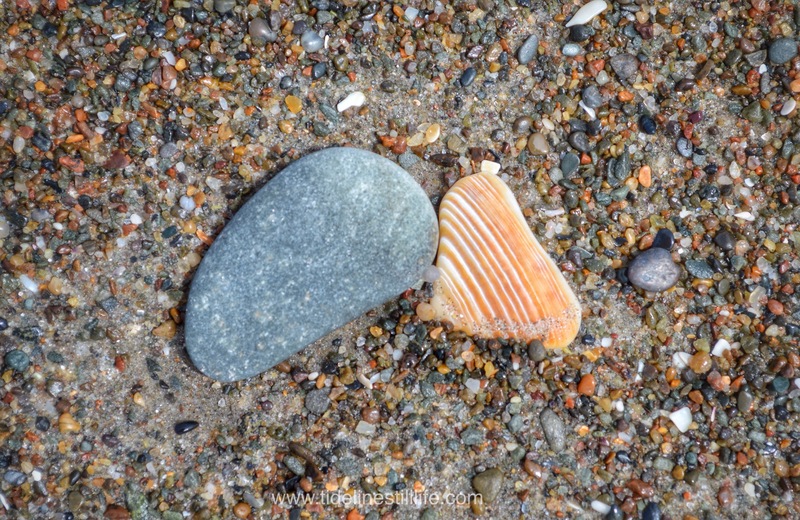 This photograph was taken along the tide line at Joggins Fossil Cliffs. 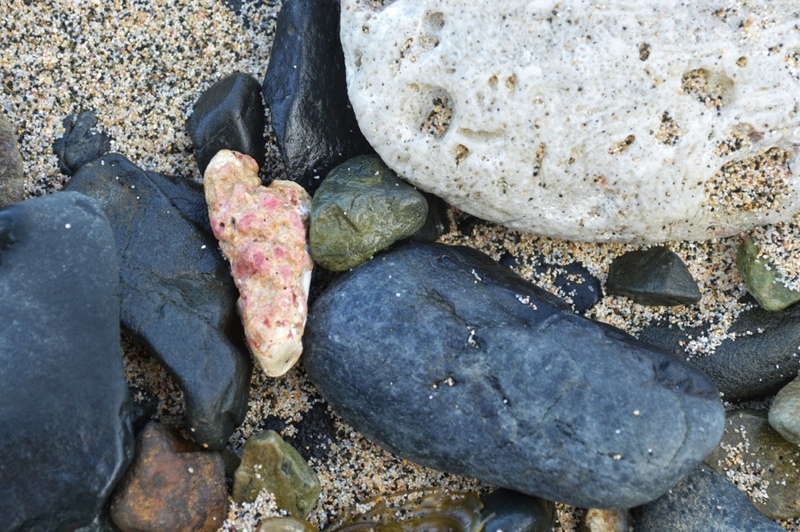 Rather than a sand, or even small pebble tide line, Joggins is mostly a jumble of rocks, with sand and smaller rocks emerging at low tide. 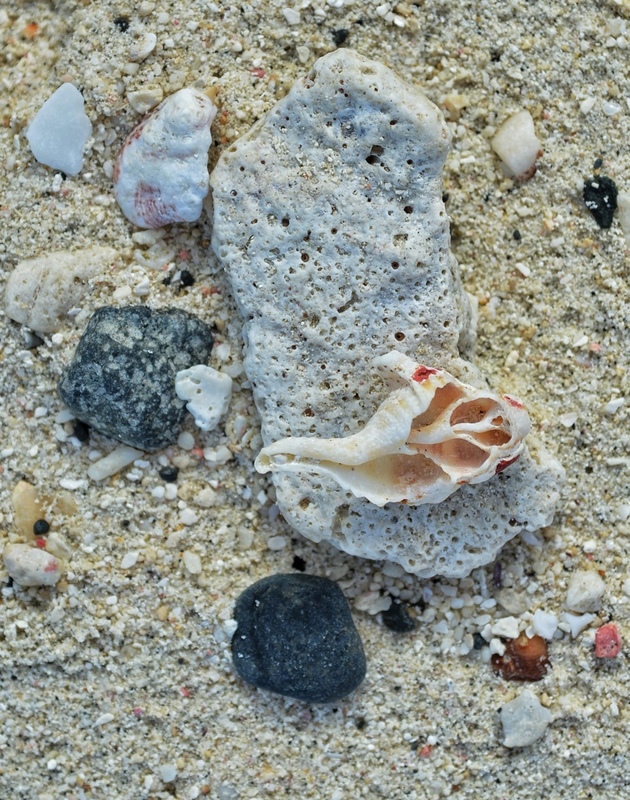 It makes walking the tide line a bit of a challenge, but the reward of watching one’s step comes with finding innumerable fossils along the walk. 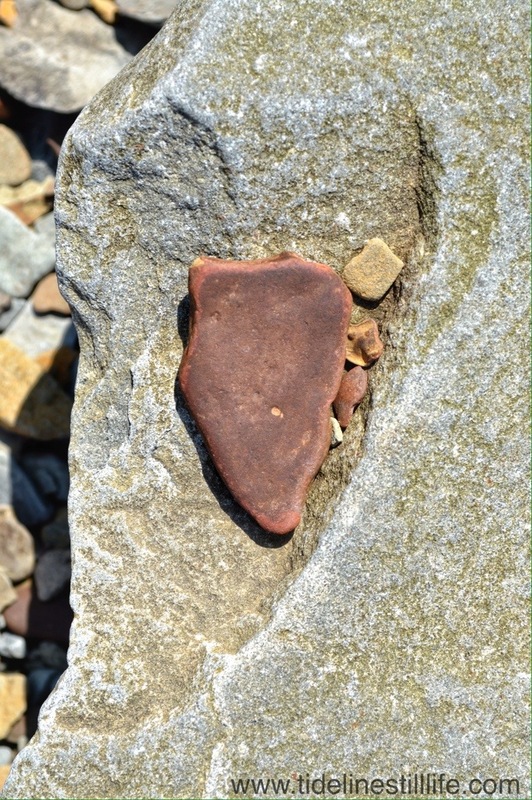 NOTE: fossil was misidentified yesterday as lepidodendron. Corrected today as stigmaria. A magnificent pebbled beach and cliffs positively littered with fossils. 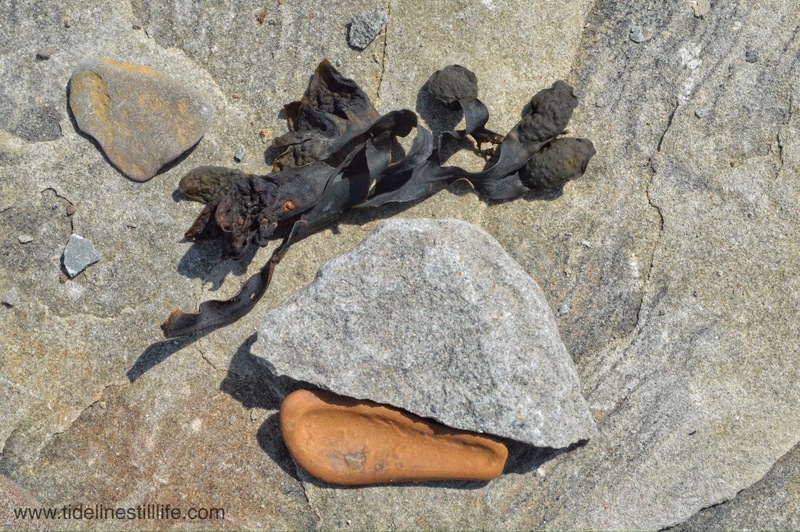 No fossil here (unless that is a small bit of coprolite from a fish in the red rock), but a lovely composition that was arranged by the outgoing tide. 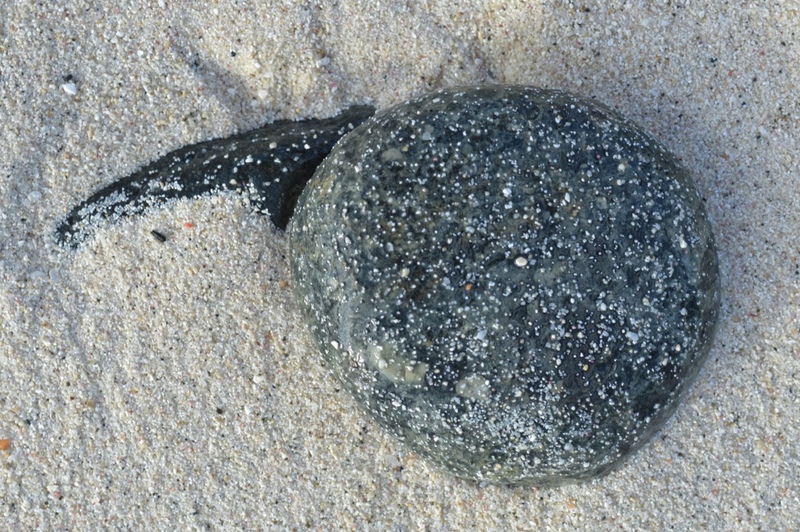 How this tiny, delicate shell did not wash out with a retreating wave, I do not know. The arrangement was a happy find, though. Subtle colors and varied textures fashioned a lovely still life. 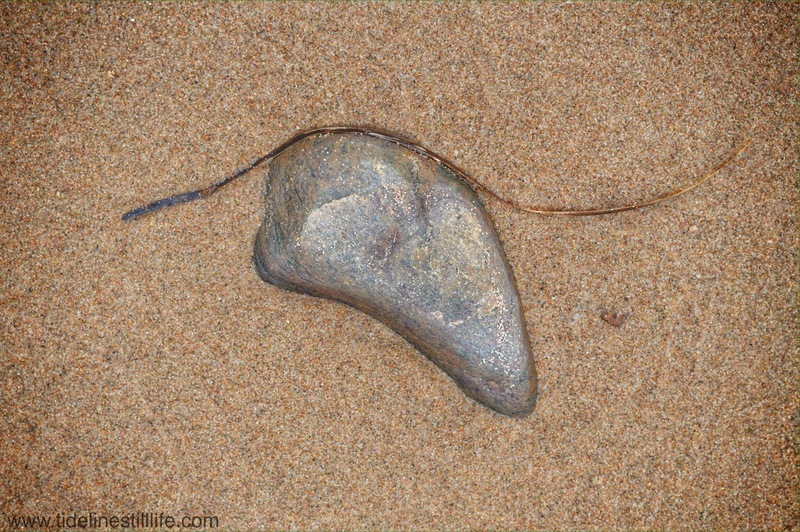 Just emerging from the retreating tide, these two stones give the appearance of fiercely clawing their way to the surface on the tide line.